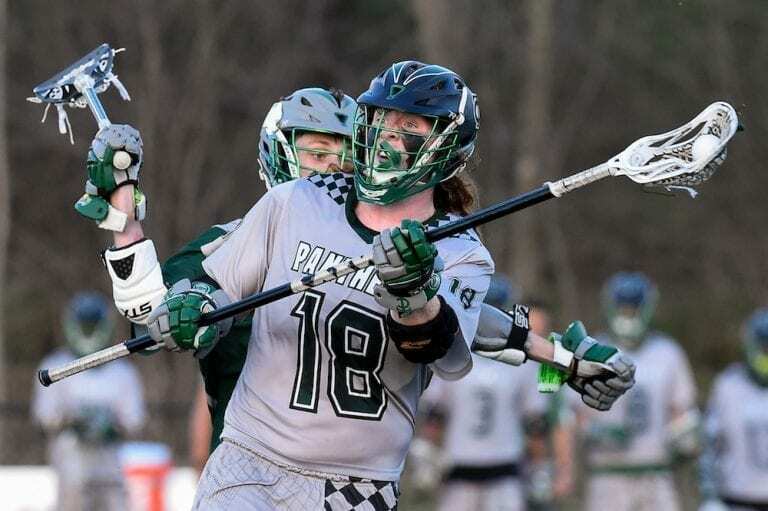 This week’s Junior College Report will feature all the regular good stuff like polls, recent big game results, video, and more, but I will also take a deeper look at the Tompkins Cortland program, and how they seem to be on the rise recently. 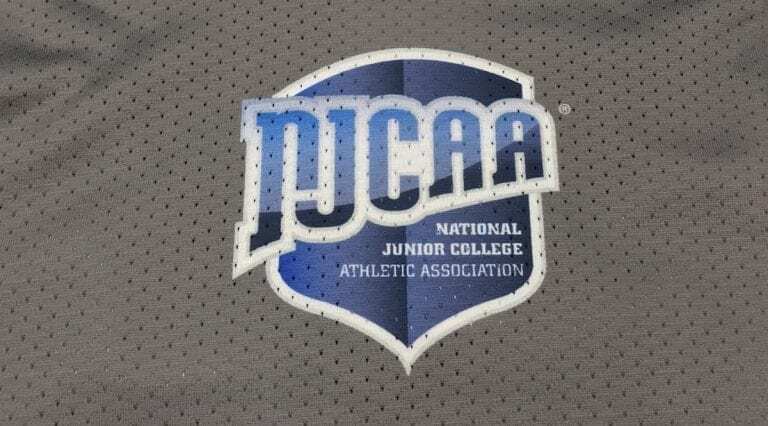 A lot of teams are starting to look up, parity is here on some level, and it’s an exciting time for NJCAA men’s lacrosse. The Top 6 has been relatively quiet for a couple weeks now, with only minimal movement, but Monroe has been slowly climbing the ladder. Now, can they go even higher than #7? That’s an exciting team to watch right now. Suffolk is doing well, and is another team to keep an eye on in the current Top Ten. Delaware Tech seems firmly planted in the lower half of the ten best teams, and Essex is just barely hanging on to a spot. 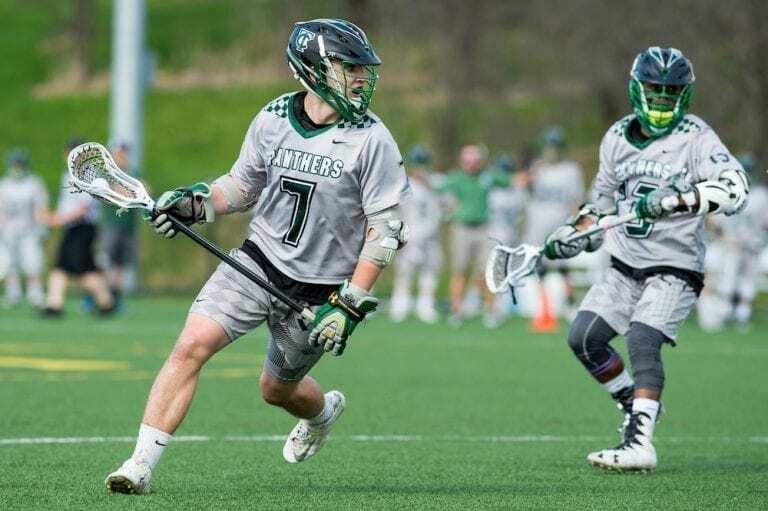 Mercyhurst NE got votes, while the rest of the teams just outside of the Top Ten cannibalize each other for wins and losses, making a jump in to the top group later in the season a little harder. Consistency eventually pays off, and while I think this poll is accurate for now, we could see quite a bit of movement before it’s all said and done. Anne Arundel Riverhawks – AACC played its 3 biggest Region 20 games over the last two weeks and they emerged with a 2-1 record. Wins over Essex (11-7) and Harford (8-2) bookended a tough loss to Howard (13-8). AACC looks like the second best team in Region 20 right now, and while they are vulnerable to the teams below them, they can compete with, and beat, the team above them in Howard, and that’s not a bad place to be right now. Brookdale Jersey Blues – Brookdale got a great Region 19 win over Union County, 9-7. Delaware Tech Hawks – DT got a tight one goal win over Ocean County, 13-12, and followed it up with a dominant win over Northern Virginia. That led to a 16-12 loss to Harford, but a very competitive score line. In their last game, the Hawks dropped a big one to Howard, and next up is Nassau. Two winnable games and a HUGE game with Suffolk loom large outside of that. Essex Knights – Essex got a much needed win over Union County, 18-8, as it has been the only win in their last 5 games. Harford up next is a truly important game because right after that Essex will see Howard, and 1-6 in your last 7 games is no place to be. 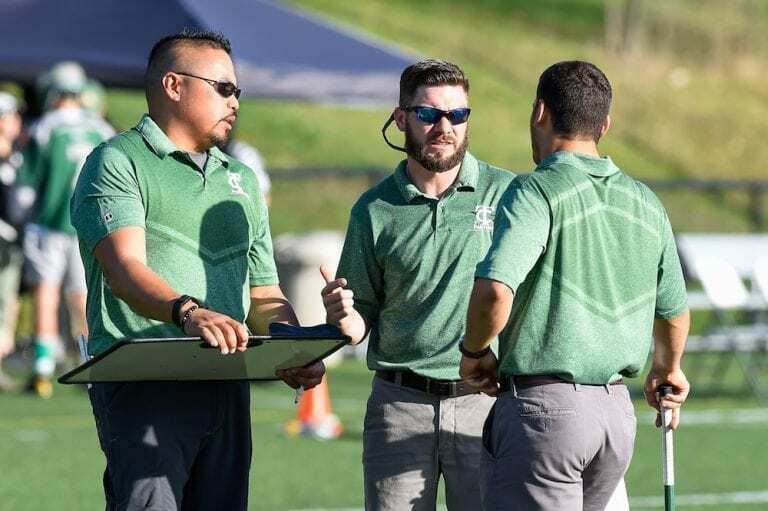 Harford Fightin’ Owls – HCC has been facing some stiff competition as of late, and that’s a good thing because it doesn’t get any easier from here. Essex, Howard, Onondaga, and Suffolk all remain on the slate. Harford just went 1-2 against Nassau (14-3 loss), Delaware Tech (16-12 win), and Anne Arundel (8-2 loss), and they’ll need to get their goal production up to have any hopes against OCC or Howard. Herkimer Generals – Herk still hasn’t played anyone with a winning record, BUT the are 4-0 so… I’ll take it! I am not of the mind that Herk is ready to hang with Onondaga or Genesee yet (they play them both later on this spring), but I can NOT WAIT until Herk, MNE, TC, HV, and Monroe start playing each other more and more. I think Monroe is the class of that group, but all four of the other programs are showing promise this year, and Herk is in that pack. Where in that pack? I don’t know, but I’m excited to find out. Howard Dragons – Howard rolled Delaware Tech and won a good game over Anne Arundel. They’re looking like the class of the southern region teams. I’d tell you more, but instead… VIDEO! Hudson Valley Vikings – HV got a good win over a competitive Jefferson program, then dropped a tough one to TC, and lost 11-1 to Monroe. Being 3-3 and 1-3 in your last 4 games may seem like a downer, but EVERY game on Hudson Valley’s schedule moving forward is conceivably a winnable one, and if that’s not enough motivation for the Vikings, then I don’t what is. Mercyhurst NE Saints – MNE got a solid win over Broome, lost big to Genesee (but still put up 5 goals which ain’t bad! ), and then they beat Mohawk Valley 17-3. HV, TC, Herk, and Monroe all remain, and just like the other teams in this group, it’s going to come down to who can consistently win games. 1-2 is good. 3 is better. 4 puts you at the top, and in the bottom of the Top 10, maybe even a bit higher! Monroe Tribunes – At 3-1 with a solid loss to Genesee, and solid wins over TC and Hudson Valley, Monroe looks comfortable anywhere from 5th to 9th place right now. That being said, right now is only right now, but other than their game with OCC, Monroe looks poised to win out, and finish 8-2. Nassau Lions – At 8-0, Nassau is rolling along, well oiled and looking strong. 3 recent wins over Harford (14-3), Suffolk (12-4), and Essex (20-6) confirm this via the eye test. Nassau looks really, really competitive at the top and I don’t see them dropping a regular season game. Onondaga Lazers – OCC won a tight game over Genesee 14-10, then rolled off a couple thirty plus goal win over Jefferson and Tompkins Cortland. They aren’t unbeatable, but it’s not going to be easy! OCC, back at it, as usual. Potomac State Catamounts – PSC got their first win of the year recently, and did so in style winning 21-3 over Northern Virginia. Congrats to Coach Seese and his team for their first win of 2018. Suffolk Sharks – Suffolk may have lost to Long Island rival Nassau 12-4, but they followed it up with a big 21-6 win over Union County, and moved to 5-1 on the year. Tompkins Cortland Panthers – TC may have dropped a big loss to Onondaga, but that does happen. Let’s look at what else happened. The Panthers got a great win over Hudson Valley 10-7, and that came off the heels of a 15-2 win over Jefferson, and usually Jefferson is more competitive than that. Big games coming up, and you can’t rule Tompkins Cortland out of the Top 10 down the line. As discussed above, at 3-2 overall, Tompkins Cortland has put together a pretty solid season so far, and they look poised to be competitive the rest of the way in 2018. 2017 was one of the best seasons in program history, and the team finished at 7-6. The big question (which I’m excited to see play out) to be asked is if they will go 3-3 in their last 6 regular season games, or if they will go 5-1, or 4-2. 6-0 would be even better, but Genesee is a tall order for any program. If TC goes 3-3, they will finish with an decent 6-5 record, and while it’s good, it is not a big step up from last year’s finish. 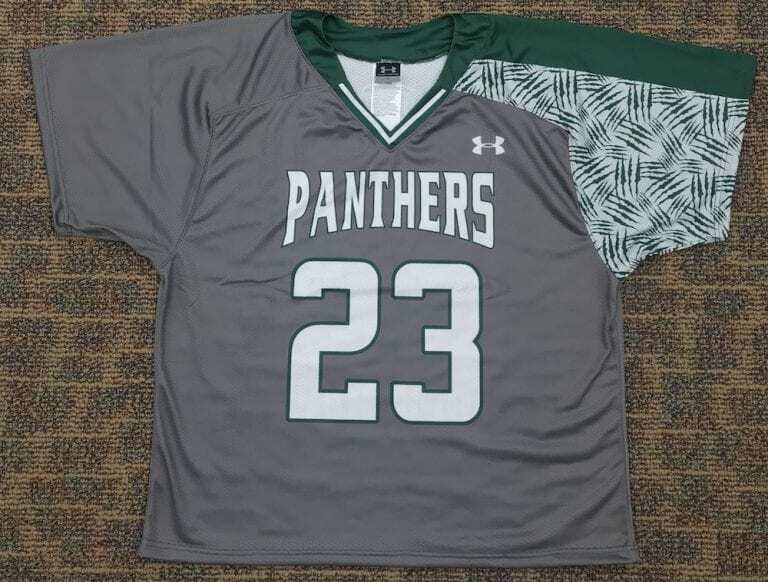 However, if the Panthers can go 5-1, they would finished at 8-3, and that would be the best season for Tompkins Cortland lacrosse in recent memory, quite possibly ever. I can’t think of a single season in the last decade where TC won 5 more games than it lost (or even 2), so like I said, this is big. So what is driving the new direction for Tompkins Cortland lacrosse? It can’t just be the fact that the school no longer goes by TC3 anymore, so what is really going on with this emerging Region 3 program? Head Coach Zach McMullin has a great staff on board, and the program has two strong captains this year in Nick Smith and Anthony Irizarry. Smith is a local Cortland, NY product and transferred in from Alfred as a longstick that can play down low or in the midfield. He’s a turnover generator and has a great motor. Irizarry is an attackman who can also play midfield, hails from Middletown, NY, and also plays for the Puerto Rico national team. I first saw Irizarry play in the NYC box league and he plays with a chip on his shoulder, showing determination and grit, as well as some box moves. In addition to Smith and Irizarry, Tompkins Cortland is relying heavily on the talents of Jonny Phillips, Bridger Carreau, Jack Colmer, and Matt Bisono. Phillips, another Cortland native, is a close defender with takeaway skills, and he is joined by Carreau down low, who grew up in Georgia. Colmer is an attackman out of Vernon, NY with a box flair to his game, and Bisono can play attack or midfield and is a great athlete, hailing from Deer Park. In goal, Bryan Iannello is stepping up more and more and showing how well he can adapt to the college game. Tompkins Cortland is using a strong and experienced defensive group to propel them forward right now. The veterans are dictating the pace, and others are picking up the slack. The shorties are gritty players, and the offense doesn’t back down from a little contact either. Tompkins Cortland doesn’t have a huge roster, or a ton of depth, but they find guys who are willing to commit to a job, and so far it’s been producing wins. Offensively, Tompkins Cortland has a good core of guys who can get it done. There is not a ton of depth on the offensive end, but the primary scorers and ball carriers can give any team problems. TC won’t blow your doors off with their offense, but they can create enough goals to win games, play smart, and manufacture good possessions, which all contributes to their dictation of pace and play. With 6 games left on their schedule and 5 of those being huge games against Region 3 opponents, Tompkins Cortland seems poised to have a breakout season. Keep an eye on the Panthers as they try to make 2018 their best year yet.